Haggling with insurance companies to get the compensation you are entitled to can be exhausting and frustrating. 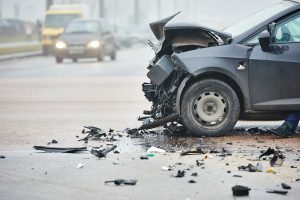 The experienced Burton car accidents attorneys at Nickola Law can help you get the full amount of compensation or benefits, as well as inform you how to file any potential additional claims if you need to seek further compensation for damages or benefits above the negligent driver’s liability limits. There is no doubt about it, the Michigan no-fault insurance laws are baffling. However, if you are not fully aware of your rights after a Burton car accident, you could end up getting run over and taken advantage of. Unfortunately, insurance companies are reluctant, and often refuse, to cover some injuries or individuals for the necessary length of time required for treatment of the injuries they sustained, even when it is clear that they qualify for the benefits. We have seen plenty of Burton auto accident cases when an injured driver’s own insurance company would not compensate them for the full extent of their injuries. On top of this, Michigan’s no-fault laws do not require insurance companies to compensate for property damage or pain and suffering. Do I Need an Attorney to Help Settle My Burton Auto Accident Claim? If you have sustained injuries in a Burton car accident, you are not required to hire an attorney to handle your auto accident claim. However, you should understand that victims of car accidents often make serious mistakes when they do not employ the services of a Burton car accident attorney. When victims deal directly with an insurance company, the adjusters often do not disclose all of the limits, and there may be other undisclosed policies that would apply to your claim. Victims are often unaware of the real value of their cases, which results in accepting settlements that are substantially lower than what they should have received. When victims of Burton car accidents hire lawyers, they receive substantially higher settlement offers, because insurance adjusters know that experienced lawyers know how to calculate the real value of their clients’ injuries. Speak to an experienced Burton car accident attorney at Nickola Law today at (810) 767-5420 or (866) NICKOLA or contact us online and we will get back to you about your case.